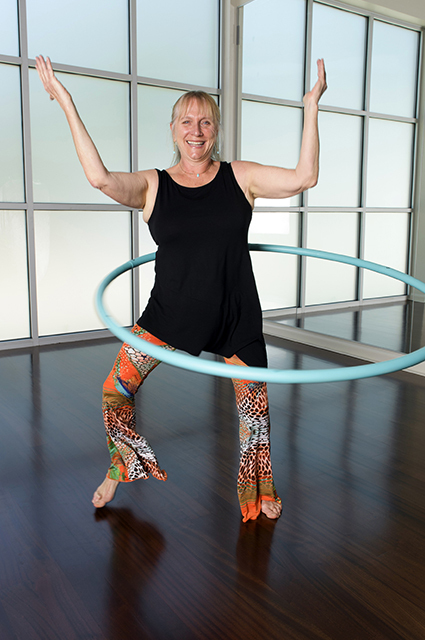 Skye O’Neil has been involved the practice of medicine as a Physician Assistant for almost two decades and her interest in her own well being brought her to Nia and to Hooping. She is a Black Belt Nia instructor who has been teaching for 5 years and feels that her practice of Nia has been the single most important contribution she has made to her sense of wellness. In addition Skye became certified to teach HoopCore Fitness classes 3 years ago which has increased her core strength and sense of play. She is grateful and excited to be part of the iBODY family!